The AeroGarden is a small, home hydroponic set that comes with several seed kits from which to choose. 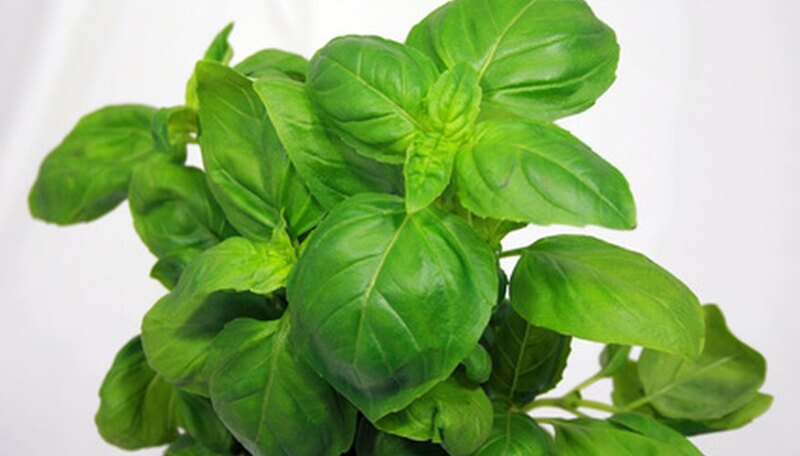 It allows you to grow herbs, flowers, salad greens, strawberries, tomatoes and peppers. The AeroGarden is easy to use, but there are some important tips to make it produce well. Each space for a plant on the AeroGarden planter is covered by a clear plastic hood called a bio-dome. This dome gives the seeds the perfect amount of humidity and heat to germinate in a hydroponic environment. Remove the bio-dome as soon as the seeds sprout and exhibit leaves. Under each bio-dome lid, the label shows what seed is in that spot. Leave that label in place even after it is time to remove the lid so the plant can grow. The label helps control the environment by prohibiting algae. It also keeps your plants straight by identifying them and tells you when to expect your seeds to sprout. Raise the lights as the plant height increases. Unplug the electricity from the unit and use the buttons behind the light arm to raise the top lid up. Make sure the button pops out of the hole at the desired height so the unit is stable and water continues to run free to the plants. Lights left too close to the plant will burn the leaves. Read your instructions to understand how the timer works, and set it so your plants have the proper amount of daylight and enough night hours to develop properly. Make sure the water in your AeroGarden unit always flows freely through the hoses, and keep an eye on the water level alert. Typically the unit requires more water weekly as existing water evaporates. In some cases it happens faster, and in some, slower. Filling the unit before the alert light goes off is fine. Use warm water when refilling the AeroGarden. Plant damage occurs with water that is too hot or too cold. Only water your plants by filling the unit. Misting or pouring water over the plants will damage the grow bulb glass. Keep your garden tidy and healthy by trimming back brown leaves from the base of the plants. They are perfectly normal but cause problems with fungus or rot if left behind. Prune your plants weekly for optimum health. Remove herb flowers as they occur to keep the plant producing bigger, leafier greens. Flowers contribute to the plant going "to seed" and end its productive life. Keep all types of plants trimmed to equal height so the light is proper for all inside the unit.